Created in 2 layers of premium wool blend felt containing 40% wool and 60% viscose, the top layer is Bright Pink, the inside is Light Purple there is a layer of wadding to give the needle book body and stability. 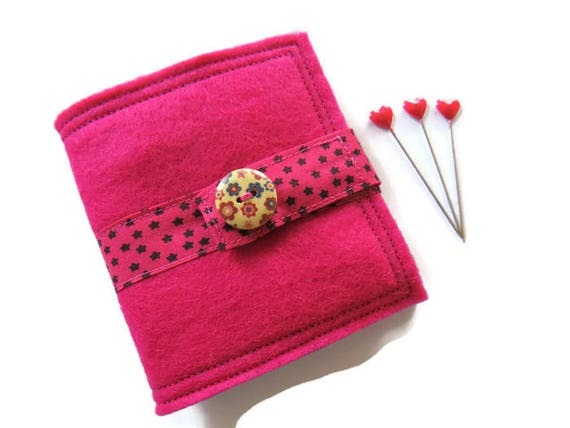 The book closes with a bright pink with tiny stars on binding which wraps around the case and closes it with a snap fastener. There is a cute little floral wooden button decoration on the ribbon.